Congratulations to Fred on the selection of his F-Production Miata as the March Miata of the Month! 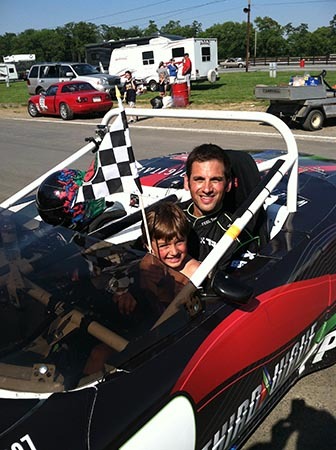 I started racing seven years ago in a MGB as the fulfillment of a life long dream. My dad was a road racer and for as long as I could remember I wanted to follow in his foot steps. 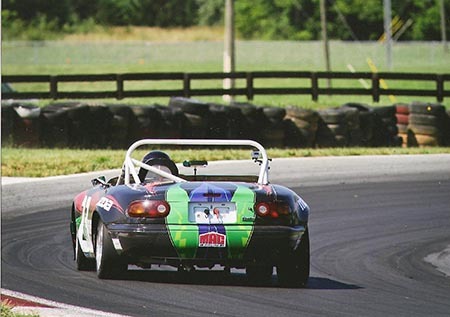 While racing the MG, I quickly learned that at my age and level of competitiveness, the NA Miata was the car I should be driving if I wanted to run up front in SCCA's F Production. This was a no expense build with the goal of winning a regional championship while learning how to drive and prep the car - then in 2013 taking it to the SCCA National Championship at Road America. It is built as a limited prep SCCA car which means that it is not as high strung as older cars trying to keep up, but still modified yet extremely reliable. Three time SCCA national champion Jesse Prather built my motor, transmission and rear end, as well as shocks and consulted on the set up of the car. It produces mid 160s HP, is naturally aspirated at 10:1 compression. 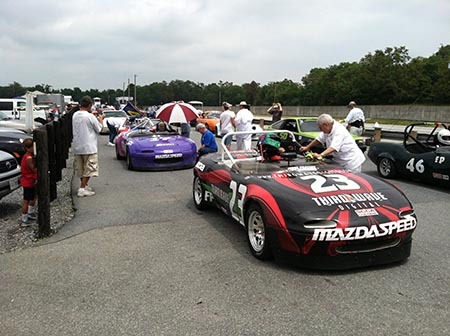 In 2012, the car won 14 of 16 events and lowered the track record by more than a second at the Lowes Motor Speedway capturing the SCCA Mid Atlantic Road Racing Series (MARRS) championship. 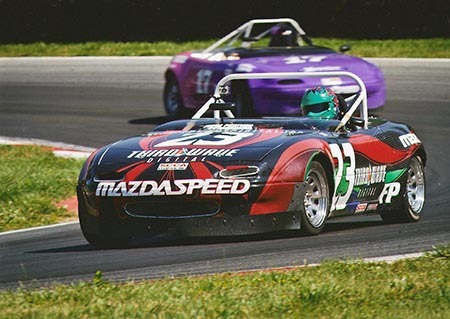 Next year, we will probably not run the SCCA national circuit because of some job and relocation transitioning, but the car may still compete in the national championship race in the hands of a former champ.